Blog Tour || Dreaming of Christmas by T.A. Williams - Book Review. There's a chill in the air, the coffee chains have their seasonal cups out, and even my tiny little town has started hanging up the lights along the high street - Christmas is most definitely on the horizon! 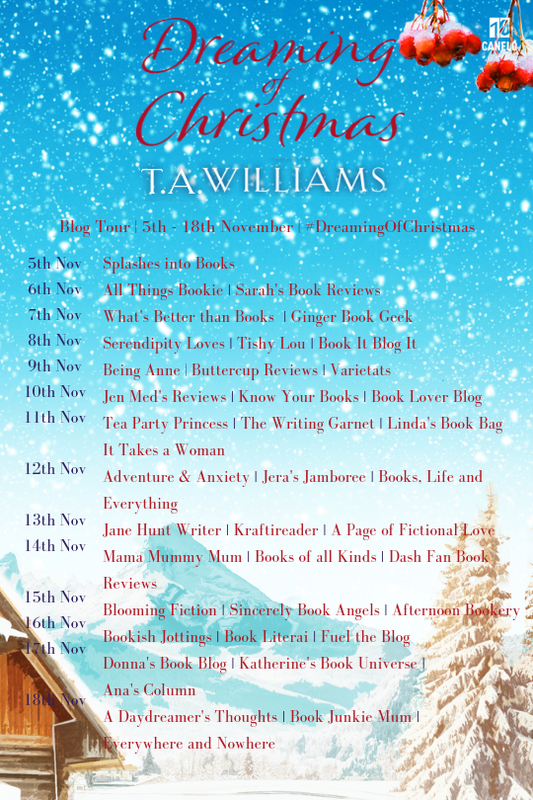 Today is my stop on the blog tour of the perfect book to get you in the festive spirit - Dreaming of Christmas by T.A. Williams! 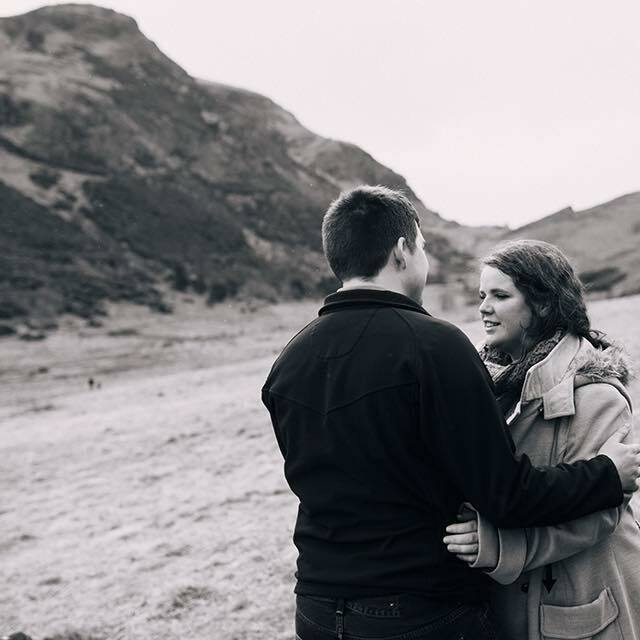 It's the dream Christmas: snow, mountains... and, er, an ex-boyfriend. But can Zoe still find love in the Alps? Dumped on Christmas Eve by her long-term boyfriend, it's been a rough year for Zoe Lumsley. But then she gets an invitation she can't refuse: an all expenses paid skiing holiday with old university friends. T.A. Williams lives in Devon with his Italian wife. He was born in England of a Scottish mother and Welsh father. 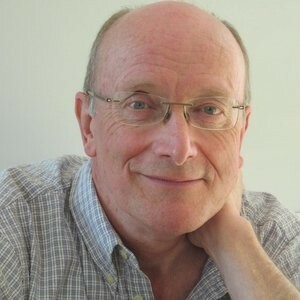 After a degree in modern languages at Nottingham University, he lived and worked in Switzerland, France and Italy, before returning to run one of the best-known language schools in the UK. He's taught Arab princes, Brazilian beauty queens and Italian billionaires. He speaks a number of languages and has travelled extensively. He has eaten snake, still-alive fish, and alligator. A Spanish dog, a Russian bug and a Korean parasite have done their best to eat him in return. His hobby is long-distance cycling, but his passion is writing. Zoe is devastated when her boyfriend of ten years breaks up with her on Christmas Eve. So when her old housemate Billy (who now also happens to be a billionaire) invites the whole university group out to Austria for a magical winter holiday, she's ready to let go of her woe and reunite with the gang. But her ex will also be there - with his new girlfriend. 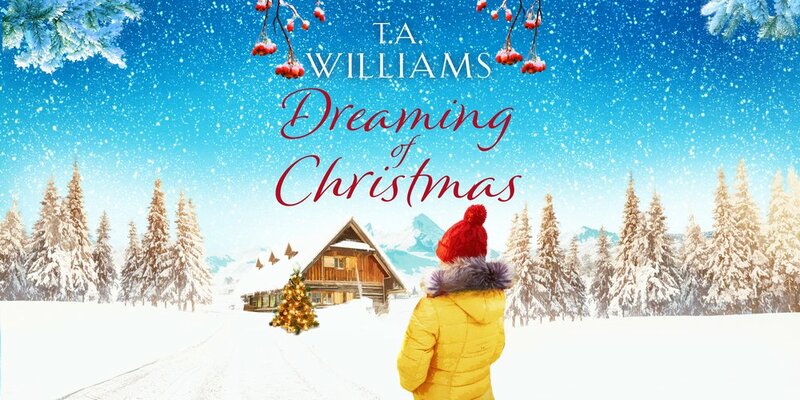 Will Zoe's Christmas in the Alps be the healing retreat she imagined? I really enjoyed this book. Zoe was a likeable and there is a fairly large cast of intriguing characters who I really loved getting to know. Every one of them has their own secret or insecurity, and it was so interesting to see how each of them developed. I really appreciate when the secondary characters are fully-rounded and are engaging; this book is absolutely full of personalities! The writing throughout this book is enchanting and captivating. I could really feel Zoe's pain after the end of her relationship, and the confusion she feels upon seeing him again. I also really loved the humour in the story; there were numerous points where I laughed out loud which helped ease the tension between Zoe and her ex, Grant. The storyline also kept me glued to the pages. I sometimes ruin the fun for myself by guessing how books will end, but the plot actually progressed down routes I didn't expect. I was really drawn in, and definitely didn't guess where this would end up! There was a lot going on but it was never overly complex or confusing, it just kept me quietly assuring myself that I'd read "just one more chapter" before bed! I am, like a lot of people, a huge fan of Christmas. I also absolutely adore the Alps - we spent the majority of our honeymoon there. So this setting was a complete dream for me, and I loved getting transported away to this wintery paradise. The luxurious feel of the hotel and the alpine surroundings made this story feel completely magical. The setting really makes sets the tone for this whole novel, and made me feel cosy throughout. This is a story all about second chances, and about growth and change. Every single character goes on a journey (not just to Austria, har har), learning and accepting truths about themselves during their trip. I really found myself caring about the stories of each person, and wishing (most of) them well. The ending was so satisfying, and I am now desperate for a holiday somewhere snowy! Be sure to check out the other blogs hosting Dreaming of Christmas on this tour!